In this film, we see Spain lurching toward the brink of the Spanish Civil War through the huge uncomprehending eyes of the child Moncho. 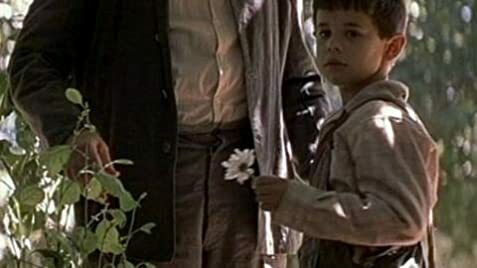 The metaphor for "Butterfly" has many complex applications in this film but for me the most profound of them was the moment that Moncho's saintly teacher captures a butterfly in a net, tenderly observes it and then sets it free. If only the future of Spain had been in such sensitive hands. As the film progresses through its beautifully photographed scenes of ordinary life, the reality of the evils of Fascism and the hope of the Republicans begin to chasm the serenity of the land. The original Spanish title of the movie was "La lengua de las mariposas" which translates into English as "The Tongue of the Butterflies" but which could also be translated as "The Language of Butterflies". © 2003 Nuba Records S. L.